The Farmhouse Complex is a traditional farm. It is surrounded by typical, beautiful Tuscan landscape. The complex was renovated in 2000. There are 12 apartments. The complex is surrounded by olive trees. 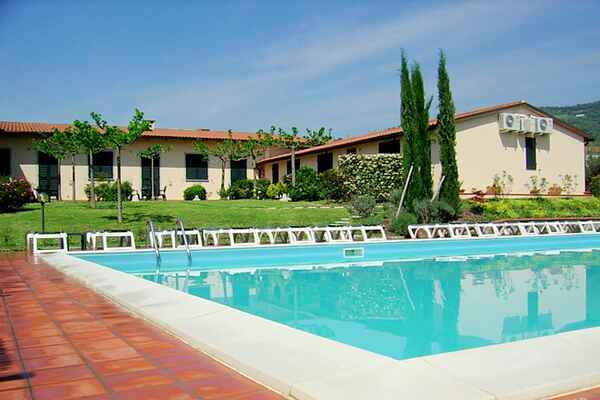 The apartments are furnished in a typical Tuscan style and are very well kept. All apartments are on the ground floor.